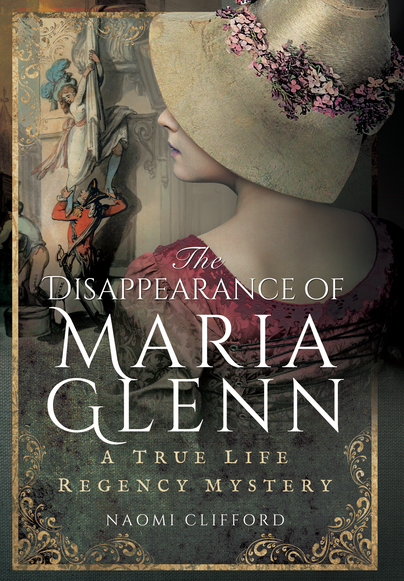 Today, we would like to welcome a return visitor to our blog – Naomi Clifford whose book The Disappearance of Maria Glenn: A True Life Regency Mystery has just been published by Pen and Sword, and we can’t wait to read it. We will now hand you over to Naomi to introduce you to an intriguing character, George Lowman Tuckett. In the middle of a September night in 1817 Maria Glenn, aged 16, vanished from her uncle’s house in Taunton, Somerset. She had been taken by the Bowditches, a local yeoman farming family who wanted to marry her off to the second son. George Lowman Tuckett, Maria’s uncle, immediately suspected that the Bowditches knew that she was the probable future heiress of her grandfather’s valuable sugar plantations in St Vincent. Maria had spent the summer at their farm just outside Taunton where she and two of her young cousins had been sent to recover from whooping cough. There was ample opportunity for the family to find out what she was worth. Of course, in 1817, once a girl was married, all her possessions, now and in the future, would belong to her husband. When I was writing the book, I had to build a picture of Tuckett from the bare bones of his biography and from glimpses of him in the lives of other people. Apart from two publications about his niece’s case and one letter in the county archives at Dorchester, he left a surprisingly small footprint. There are no surviving images of him, which is surprising given that he went on to be, if only for a short time, a Lord Chief Justice of Jamaica (but we’ll come to that later). George Lowman Tuckett was born in 1771 at Bridgwater in Somerset, the second of his father William’s sons by his first wife Martha Lowman. 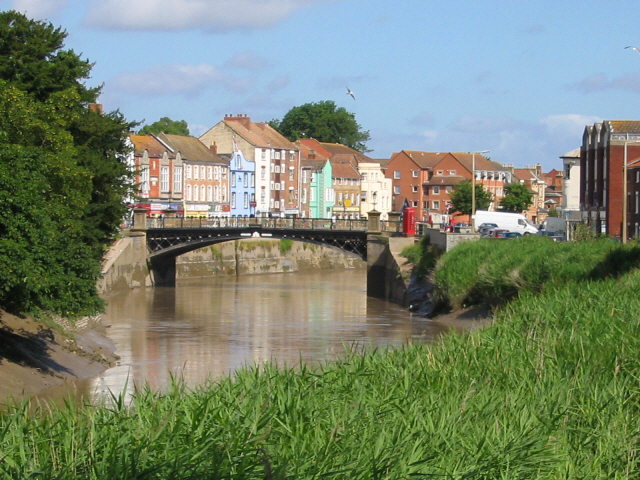 William was appointed Stamp Act distributor on St Kitts in the West Indies but by 1770 he was back in England, living in Bridgwater, where he was at various times a solicitor, Recorder of the Corporation, Stamp Duty Distributor for Somerset and mayor of Bridgwater. In 1789, after boarding at Exeter School George went up to St John’s College, Cambridge. He followed his father into the law, taking his pupillage with the brilliant but notoriously grumpy Vicary Gibbs, who specialised in the laws of evidence. 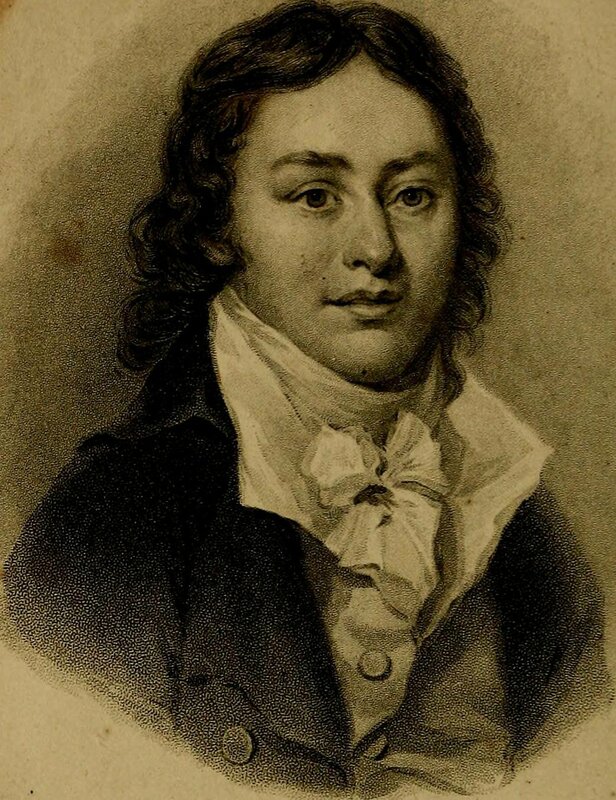 It is not known how Tuckett made the acquaintance of the poet Samuel Taylor Coleridge, who lived at Ottery St Mary in Devon, but the two young men were close enough for Tuckett to take action when Coleridge, impoverished and suffering from depression, disappeared from Cambridge University in late 1793. While Coleridge’s family anxiously tried to track him down, it was Tuckett who guessed that he would have told his old Christ’s Hospital school friends where he was. He persuaded them to break their confidence, after which Coleridge, who had joined the Royal Dragoons under the name Silas Tomkyn Comberbache, wrote Tuckett an angry letter criticising his love for truth-telling. It is not known whether they communicated again. Truth-telling was important to Tuckett. Tuckett was admitted to the Middle Temple in London in 1796, after which he completed two years’ practice in England. Two years after that, he sailed to Grenada in the West Indies. On 11 July 1800, aged 30, he married his 17-year-old first cousin, Martha Lowman, daughter of his mother’s brother George Lowman, on St Vincent. The following year he was appointed Solicitor-General of Grenada but his career was seriously affected when Martha became ill and they were forced to come to England. With the exception of a couple of years in Jamaica, where Tuckett practised at the bar, they stayed in England for the next two decades, settling initially in Taunton. While they were living in Taunton, 11-year-old Maria Glenn, Tuckett’s wife’s sister’s daughter (and his own his second cousin – they intermarried quite a lot) joined them. By now George and Martha had five children (they went on to have another), a remarkable achievement given that Martha had an unknown but debilitating illness. Tuckett and Martha adored Maria – she was everything a genteel Regency girl was meant to be. Shy, bashful, obedient and, above all, innocent about men. After Maria’s disappearance, in order to build evidence against the family he believed abducted her, Tuckett became a detective. There was no police force to do this work, of course, and although he could have hired an investigator, the work required sensitivity and attention to detail. Also, Tuckett has time on his hands: from what I can tell, his career as a jobbing barrister on the Western circuit was not very taxing. He travelled extensively around Dorset and to London to interview witnesses and sometimes to conduct an impromptu identity parade. It was his practice to ask someone to describe the person they had seen at a particular time. Then he would present Maria and ask if this was who they meant. When they failed to recognise her, he concluded that Maria had been deliberately impersonated by her enemies. Of course, it’s not a technique that would be acceptable in a court of law now. What happened when the case came to court, and subsequently when the Bowditches sought revenge, is detailed in my book. He was thorough and determined. He sometimes presented as severe and cold-hearted but underneath he was loving, generous and loyal, with a fundamental commitment to Maria and an acute sense that it was his Christian duty to tell the truth. Many years later, when Tuckett had managed to resume his West Indian career, he showed the same compassion and adherence to the truth. By 1827, he was appointed Judge of the Vice-Admiralty Court of Jamaica and then in October 1831, with the death of William Anglin Scarlett, the acting Lord Chief Justice of Jamaica. Earl Belmore, the Governor of Jamaica, told Tuckett that it was his intention to appoint him to the post, but after the Christmas rebellion of 1831 (the Baptist War) he was ejected from office and forced to return to London. Although his actions had been approved by the Jamaican Privy Council, Sir Joshua Rowe was given the post of Lord Chief Justice. Tuckett’s brief period of service has all been but forgotten. The Jamaican historical archives have no portrait of him and no information about his role. It was the end of Tuckett’s legal career and afterwards, he lived in retirement, supporting his four surviving children, none of whom married. Martha died in 1837. On 4 November 1851, he died from heart disease, aged 80, at his home in Ilfracombe, Devon. If you want to read more, The Disappearance of Maria Glenn: A True Life Regency Mystery is available now from Pen and Sword Books and all good bookshops. You can also visit Naomi’s excellent website by clicking here. This book sounds very interesting to me, but in case you are unaware, I clicked on the URL for Naomi’s website and got the message that the site could not be reached as it had been reset.